This paper describes an approximating solution, based on Lagrange interpolation and spline functions, to treat functional integral equations of Fredholm type and Volterra type. 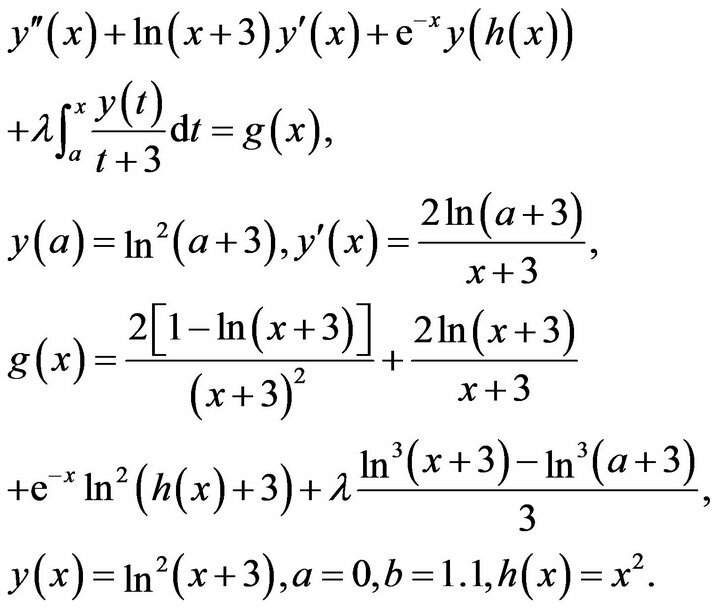 This method extended to functional integral and integro-differential equations. 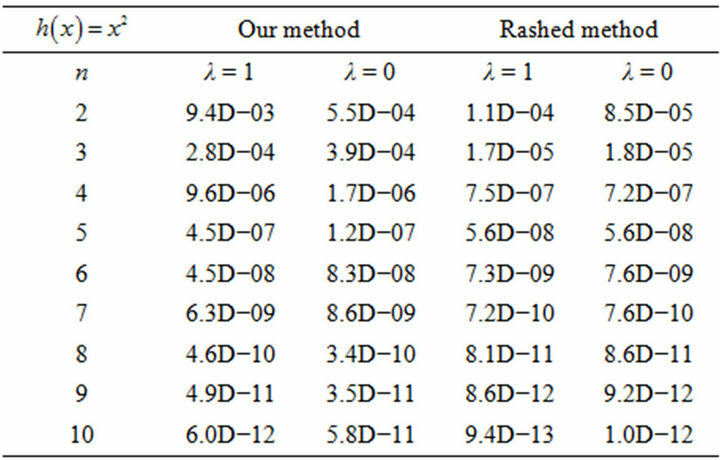 For showing efficiency of the method we give some numerical examples. which is said to be of retarded type if . It is said to be natural type . If it is said to be advanced type. For more general functional equations see Arndt , In further details many authors such as, El-Gendi , Zennaro , Fox, et al. .
where is a well known function. Then for computing we use B-Spline approximation that we present its details in the next section [6-9]. In the third section we give our method for functional integral equations. Also the fourth section is devoted to numerical solution of integro-differential equations. Of course for computing integrals both in the third and the fourth section we used Clenshaw-Curtis rule [10,11]. 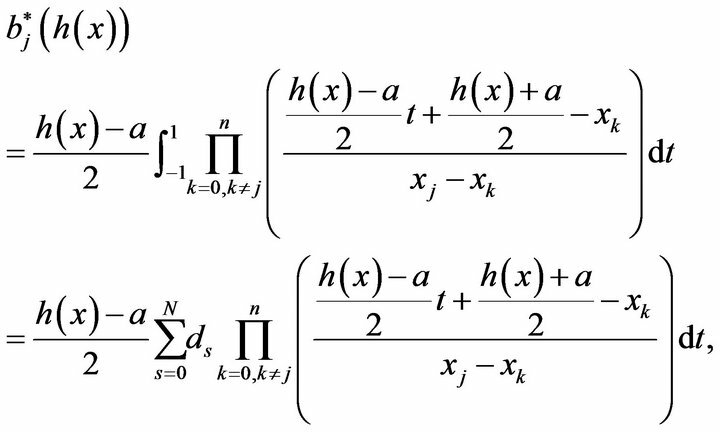 Finally in the latest section we give some applications of both functional integral equations and integro differential equations with numerical solutions. 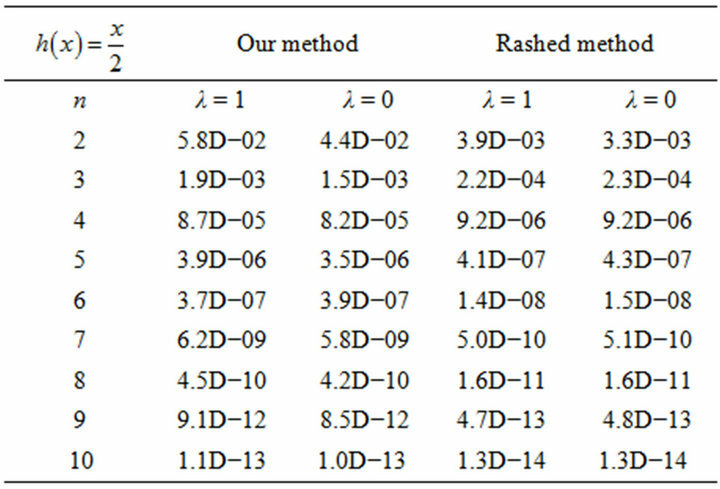 In addition, we compared our results with Rashed method [5,12]. We present some additional conclusions in Section 6. 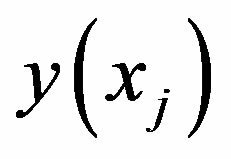 In fact, We seek to find an approximation to which satisfies some interpolation property or variational principle. The last equation may not has analytically solution. The integrals in (40) and (41) may be computed by Clenshaw-Curtis rule. It is obviously that the method may be extended to functional linear differential equations of the second order if in (34). 3) The method may be used to treat boundary functional differential or integro-differential equations. 4) The small errors obtained shows that the method indeed successfully approximate the solution of problem. Remark 1 The spline piecewise functions are very essential tools in approximation Theory. Then for this we applied B-Splines for approximation of unknown answer in integro-differential equations. 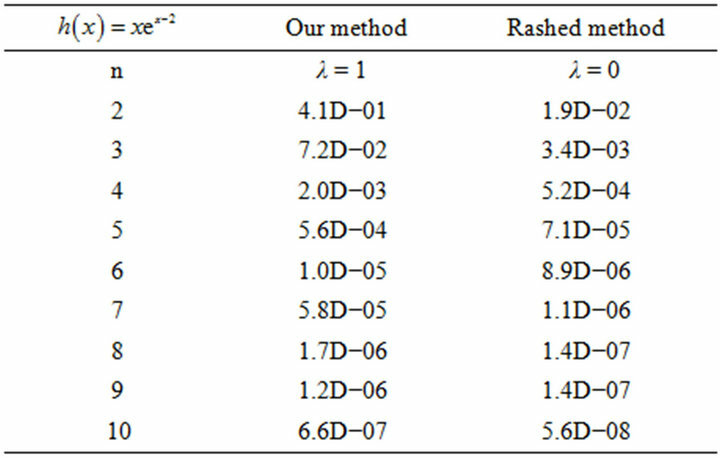 From Tables, We see that for mesh points with , we have small errors. Therefore the mentioned results for have high quality and application of B-Splines is acceptable (of course for getting convenient answer we must had ). S. E. El-Gendi, “Chebyshev Solution of a Class of Functional Equations,” Computer Society of India, Vol. 8, 1971, pp. 271-307. K. Maleknejad and S. Rahbar, “Numerical Solution of Fredholm Integral Equations of the Second Kind by Using B-Spline Functions,” International Journal of Engineering Science, Vol. 11, No. 5, 2000, pp. 9-17. J. Stoer and R. Bulirsch, “Introduction to the Numerical Analysis,” Springer-Verlag, New York, 2002. L. L. Schumaker, “Spline Functions: Basic Theory,” John Wiley, New York, 1981. C. T. H. Baker, “The Numerical Solution of Integral Equations,” Clarendon Press, Oxford, 1969. K. Maleknejad and H. Derili, “Numerical Solution of Integral Equations by Using Combination of Spline-Collocation Method and Lagrange Interpolation,” Applied Mathematics and Computation, Vol. 175, No. 2, 2006, pp. 1235-1244.